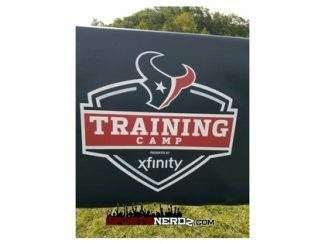 For the first time in the history of the franchise, the Houston Texans hold their Training Camp away from home. Just like the Saints have done in the past, the Texans now call the beautiful Greenbrier resort home for a few short weeks. The staff from players on the field, to the equipment managers raved over the beauty of the surrounding mountain ranges, weather, historic district of Lewisburg, and everything in between. 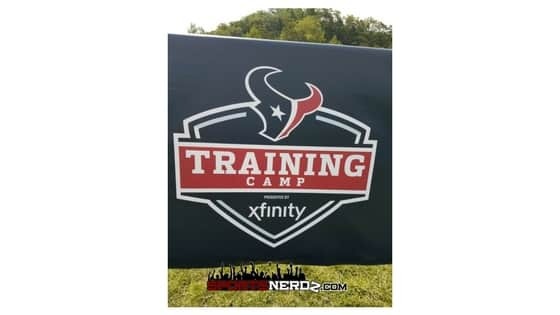 Owner, Bob McNair, stated that “we can do a few more things in practice out of the 100 degree heat in Houston!” He would also go on to say that the facility was beautiful. But getting away from the big city life was a focus that is far in the rear view mirror. The Texans look to improve upon a somewhat successful 2016 season. The Texans would go on to win the AFC South, but would be bounced in the playoffs. From my perspective, their success on the field will solely lie on the offensive side of the ball, and who’s distributing it. By first glance a look at the teams defense would be intimidating enough with names like J.J Watt, Jadeveon Clowney, Brian Cushing, Jonathan Joseph. And you would be right, as long as the defense stays in tact and healthy they will do their job, and do it quite efficiently. Getting the ball to the new “human joystick” Braxton Miller would also be wise. Miller makes things happen when the ball is in his hands. College Free Agent out of Iowa, Riley McCarron had a couple nice grabs too. Whether he makes the team or not will be up to him in the preseason games. He and some other CFA’s will have to make every play count. In closing, I believe that the Houston Texans will improve upon their 9-7 record last year. A record of 10-6 seems more likely, repeating as AFC Champs, and making a little noise in the playoffs. If one thing has proven true, the Texans know how to draft. Also having a former WVU Mountaineer in KJ Dillion never hurt either. What KJ lacks in size, he makes up with physicality. Look for the Texans to be at the Greenbrier for a couple more weeks before heading back home on August 21st with a couple sessions at Houston Methodist Training Center.